I was too tired to get up early for hiking this morning which meant I could take Ellie for her morning walk instead. The walks are only 10 minutes long these days but I treasure every minute. I was thinking as we walked about how one silver lining of getting laid off last year was getting to walk her every morning while she was still able. She still greets me with joy when I get up in the morning and when I come home from work or hiking, her body is aging but her spirit is ever young. She wasn’t sleeping with her tongue out, I caught her as she was about to lick her nose. 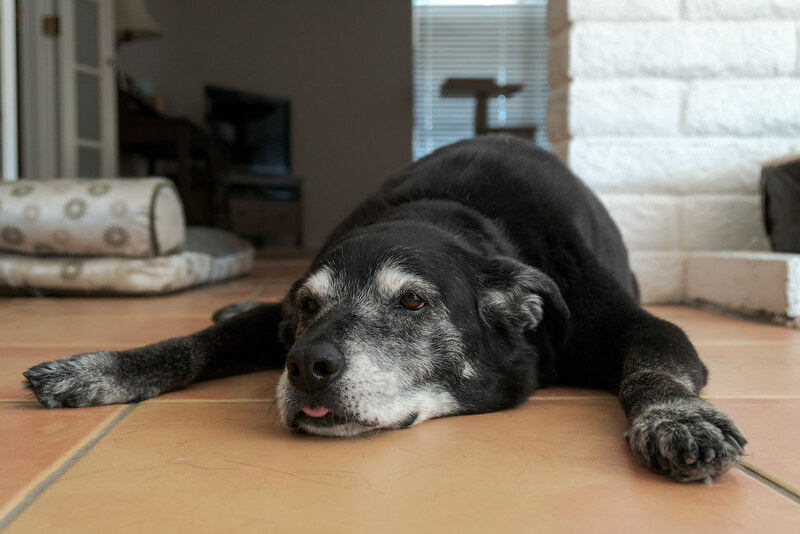 This entry was posted in Pets and tagged Arizona, black lab, dog, Ellie, resting, Scottsdale, tile. Bookmark the permalink.